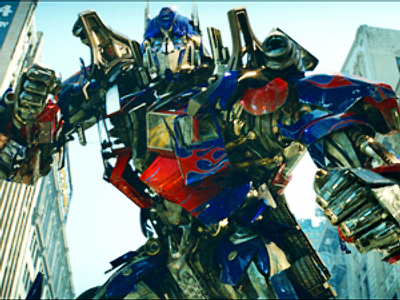 A young Transformers fan in China was drinking gasoline for five years trying to become a "valiant fighter" like Optimus Prime, the West China Metropolis Daily reports. A 14-year-old boy, from the town of Yibin in Sichuan, first saw the animated saga about robots from outer space – able to transform into vehicles, electronic items or weapons – when he was nine years old. The youngster was so impressed that he began drinking fuel on a daily basis to “obtain energy” and become a mighty warrior like the Transformers. He started with “smelling the gas of cigarette lighters,” the boy’s father told the newspaper. When his parents find out about it, they had a serious talk with their child. And it kind of worked, as the Transformers-lover never touched lighters again… switching to motorcycle fuel instead. "But afterwards we found our motorcycle's gasoline was always disappearing, and one day when we found the boy drinking half a bottle of gasoline stolen from the motorcycle, we were too shocked to say anything," the father said. The parents locked the motorcycle away, but the obsessed boy started stealing the gasoline from neighbors, drinking two or three bottles a day. Only after that did the parents decide to take him to a hospital. The doctor said the boy was unable to gain supernatural strength, but had mental disorders and had a strong "gasoline dependence" instead. "Since my son start to drink gas, his intelligence quotient dropped sharply and he couldn’t figure out addition and subtraction of sums within 100," the father said. "Before that, he was a very smart boy, and he could even repair the television. But now he doesn’t know the answer of 7 plus 17." But the doctors from the 4th Hospital in Yibin city promised to do everything to help the boy “kick the gasoline addiction’. Meanwhile, the Hollywood blockbuster ‘Transformers: Revenge of the Fallen’ is now showing in cinemas across China. The film has set the country’s box-office record, gaining 400 million yuan (US$58.4 million) in 19 days, and breaking the previous record set by ‘Titanic’ ten years ago.